Unfortunately, parking is limited at Tulane. 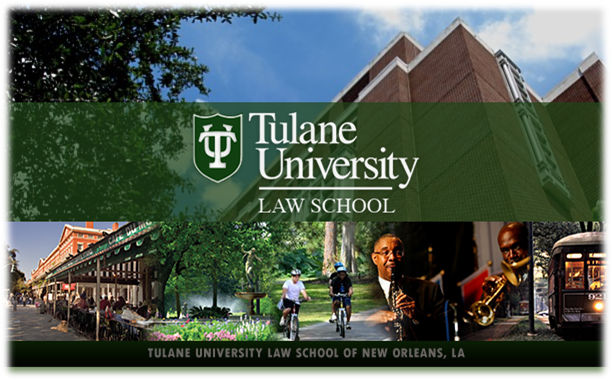 The best two options are to park at the Diboll Parking Garage located near the Tulane Campus Recreation Center on Ben Weiner (turn on the Willow and at a light turn down McAllister) and then walk 8-10 minutes to the law school from there). It costs $5/day to park in that lot. The other option is to park in the neighborhoods surrounding the school. The side streets closest to the school only allow parking for up to 2 hours (and cars do occasionally get ticketed), but if you go to the side streets out a bit further, around State St. and Freret, there is parking with no limitations. It may be a 10 minute walk or so from these locations. Are summit attendees allowed to take the Uptown Square shuttle? We are looking into this and will get back to you shortly. Unfortunately only students, faculty, and staff (those with a Tulane I.D.) can take the Uptown Shuttle. We apologize if this inconveniences you in any way, and let us know if you need anything else. We hope you still plan to attend!